I am still looking for Halloween treat ideas and found these printable Halloween candy boxes that are super cute! You can download a free pattern for both Frankenstein and his bride. Then you can fill them with whatever candy you like. Fun Halloween party favors or an extra special treat to give the trick or treaters you know. 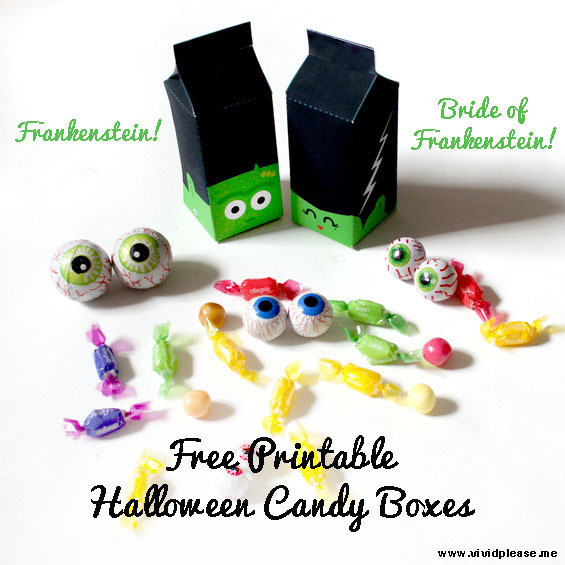 You can download the free printable Frankenstein treat box and Bride of Frankenstein treat box over at Vivid Please.